A chest infection occurs when a virus or form of harmful bacteria colonize in your lungs. A chest infection that affects larger airways is known as bronchitis. Pneumonia affects smaller air sacs in your lungs. Symptoms of chest infections may include coughing, fever, shortness of breath, headaches, congestion, reduced appetite and lethargy. In addition to rest and medical treatments, when necessary, certain foods may help prevent or reduce the severity of your symptoms. Fruits and vegetables are prime sources of antioxidants -- nutrients that boost your body's ability to resist and heal from infections and disease. According to research published in "Chest" in 2007, increasing your fruit and vegetable intake may help minimize lower-respiratory symptoms. For the study, the dietary habits and respiratory symptoms of 2,112 twelfth-grade students in the United States and Canada were analyzed for two years. Researchers found a positive link between low fruit intake and increased chronic bronchitis symptoms. Smoking increased these risks. 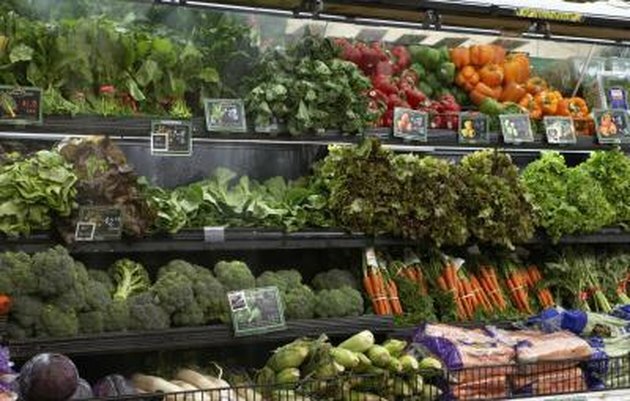 To reap benefits of fruits and vegetables when recovering from a chest infection, consume those richest in antioxidants, such as berries, citrus fruits, tomatoes, leafy greens, broccoli and winter squash. Fresh fruit and pure fruit and vegetables also promote hydration, may help your body rid itself of toxins through urine and reduce mucus. Soups enhance hydration and may soothe throat pain and inflammation associated with lung infections. Chicken soup provides protein, which supports physical strength and healing, and may loosen mucus associated with bronchitis, according to the University of Maryland Medical Center. Avoid creamy soups, which may worsen mucus. 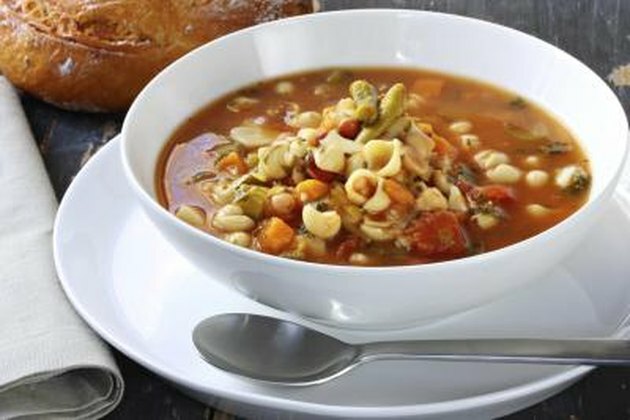 Additional protein-rich soup ingredients include beans, lentils, tofu and fish. Incorporate vegetables for added antioxidant benefits. 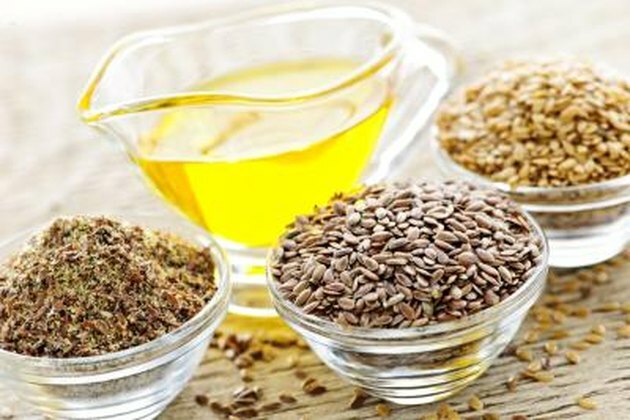 Fatty fish, such as salmon, tuna, sardines, lake trout, flounder, halibut and mackerel, and flaxseed -- a fiber-rich seed variety, provide omega-3 fatty acids -- healthy fats that may reduce inflammation. According to the study published in "Chest," anti-inflammatory fats are associated with fewer respiratory infection symptoms. Fatty fish also provide valuable amounts of protein and provide nutritious alternatives to fatty meats, which may worsen inflammation. For optimum absorption, choose ground flaxseed over whole seeds. Enjoy flaxseed on its own or added to smoothies, yogurt, hot cereal or baked goods. Yogurt and kefir are cultured milk products that provide beneficial, or "friendly," bacteria known as probiotics. Though additional research is needed, according to the University of Maryland Medical Center, probiotics may help prevent or reduce the severity of bronchitis symptoms. 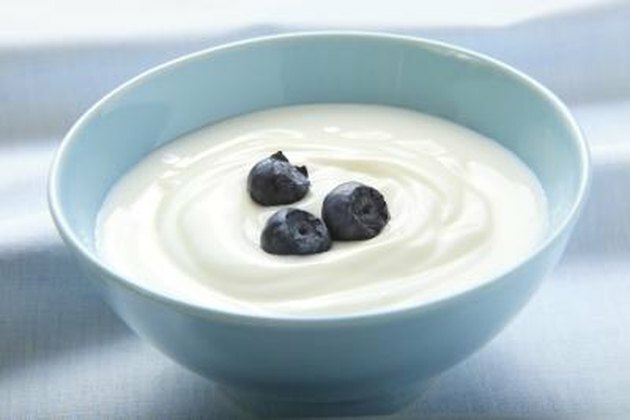 For best results, consume yogurt and/or kefir containing "live active cultures," such as Lactobacillus. If you're experiencing throat pain, try frozen or well-chilled yogurt or kefir, which may provide a soothing or numbing effect.